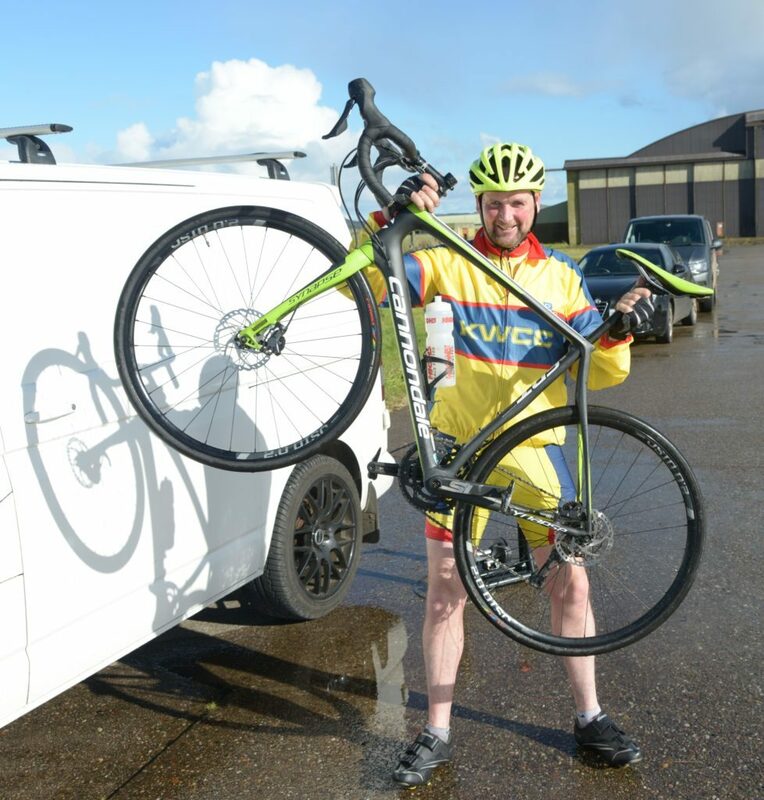 The chairman of Kintyre’s cycling club has a new set of wheels after winning a carbon fibre bike. At the recent final MACC time trial Robbie Semple raced his Cannondale Synapse. 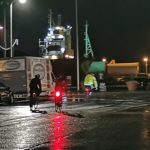 Semple won the machine in a raffle after charity cyclist, Willie ‘Big Bill’ Neilson, who attended Drumlemble Primary, rode it from Land’s End to Oban and raised £14,000. Neilson’s parents moved to Lossit Farm, Machrihanish, and he attended Drumlemble until P6 and now lives in Dunbeg, near Oban. Another Kintyre link was completed when former Chennai Six pirate hunter, ex-Campbeltown Grammar pupil, Billy Irving, piped Neilson into Glasgow during his epic ride. Irving and Neilson were former team-mates at Taynuilt Shinty Club and members had raised money during the ex-paratrooper’s India incarceration. Semple was delighted to win the superlight racing machine and said: ‘Willie bought it new in March just for the charity ride for the Beatson. Neilson, 29, completed his 737-mile cycle in August to raise money for three charities close to his heart: Alzheimer’s Scotland, the Craighalbert Centre and the Beatson Cancer Charity. Each of the charities has a special connection to the building contractor. Willie’s gran passed away after suffering from Alzheimer’s disease, and his other granny was diagnosed with cancer. However, she was given the all clear after being admitted to the Beatson Centre in Glasgow. His sister-in-law, Laura, who cycled the last part of the journey with Willie, has cerebral palsy and attended the Craighalbert Centre. 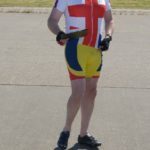 At one point on the cycle, the campervan broke down and the spokes on Willie’s bike gave way, meaning he had to cycle 100 miles on his back-up bike with no support team. ‘But the next day was smooth again,’ he said. On the last leg of the journey, Willie was joined by friends and family, and when he arrived in Oban he was greeted by 100 people cheering, as well as a bottle of Champagne.